RBC’s decision to replace 45 employees with temporary foreign workers has generated outrage among the public – and, inadvertently, a promotional boon for mortgage brokers. RBC confirmed Sunday that it was laying off 45 employees who do its IT-related work, outsourcing their jobs to a smaller group of employees who work for iGATE. “Definitely glad to be a mortgage broker today; glad I don’t work at a bank!” added Dawson, who sees RBC’s public relations fiasco as a chance to generate more business. According to RBC, iGATE technically isn’t replacing Canadian workers with foreign ones, as the new employees do not technically work for RBC (The new workers will be on visas). The temporary foreign worker program allows businesses to hire foreign workers on a short-term basis, so long as there are no skilled Canadian citizens available to fill those positions. 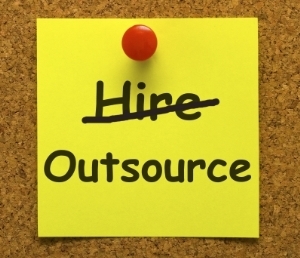 RBC’s move to oursource its IT work to foreign workers may be the start of a bigger effort to outsource more of its workforce – maybe even mortgage specialists. Describing RBC’s move as a “very poor policy,” Holmes is certain that any move to do underwriting or brokering in offshore call centers is doomed to fail. Ottawa had expressed concerns over RBC’s move, and the Minister of Human Resources and Skills Development late last week asked her department to work with immigration to determine what steps are needed next. Ironically, Ottawa discovered late Monday that it had already given RBC approval to outsource the jobs. For Holmes, RBC’s decision is hard to swallow. Dawson sees RBC’s public relations gaffe as only highlighting the personalized service brokers can offer that the big banks do not. “I’ve had a client switch from RBC before this,” he says. “For the banks, it is all big business. The client still wants personalized service.